What amazing color and I see a beautiful redbud tree. They bloomed early here in the mountains and we missed seeing them! Enjoy your week! 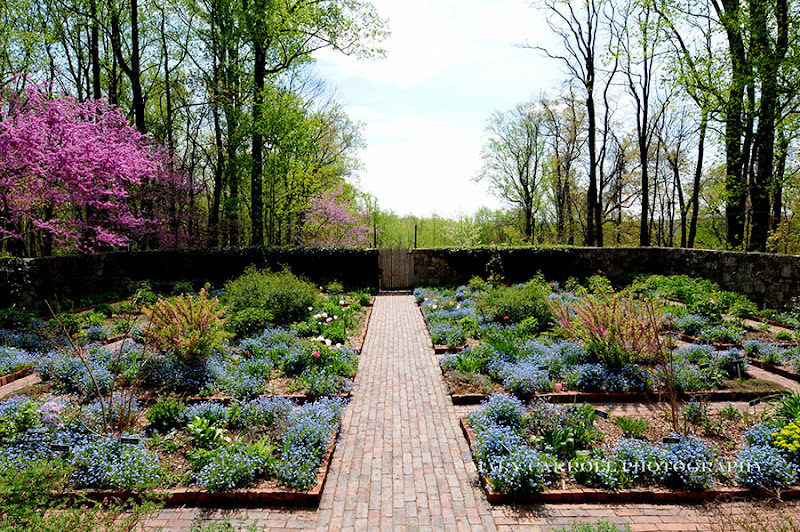 Beautiful gardens and photos Mary...I love the perfect brick pathways. Goodness, that's beautiful! I am crazy about the blue and yellow combination!I planted some For-get-me-not seeds last fall, but I think I might have to let them grow for a year before I get a bloom. Maybe I'll have it next year! Beautiful garden Mary, I would be spending all my time there taking pictures. Take care of the hand. Mary your photos of this beautiful place are incredible. Such a wonderful place, with your gorgeous photos! Hope your hand is feeling better soon! Gorgeous shots, what a stunning place. Take good care of your hand. Amazing how much we use them -- automatically! Your images of Cross Estate Gardens are gorgeous. What a wonderful place! Take care of yourself...take care of the hand...sure hope it feels better soon. 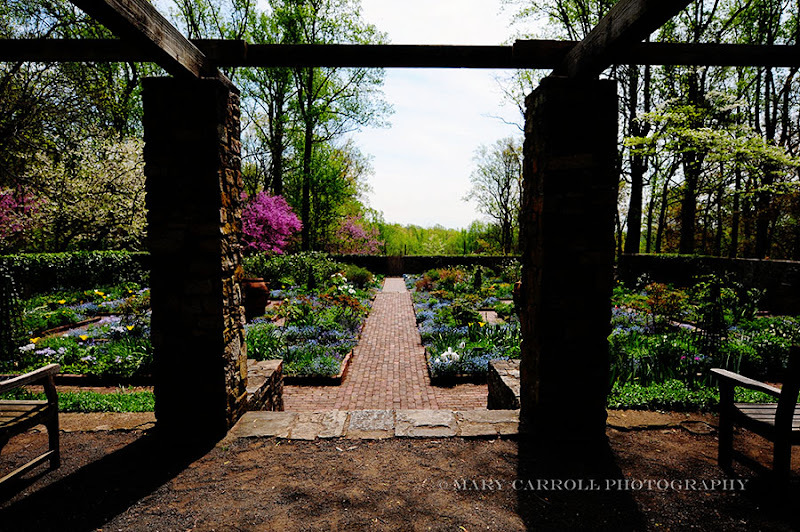 Beautiful gardens, Mary! Hope your hand feels better soon! So beautiful! I love forget-me-nots! Oh I'm sorry that your wrist is not feeling so great. I find myself wearing my wrist support a lot lately...not too much fun...hope that it's feeling much better as you give it rest. 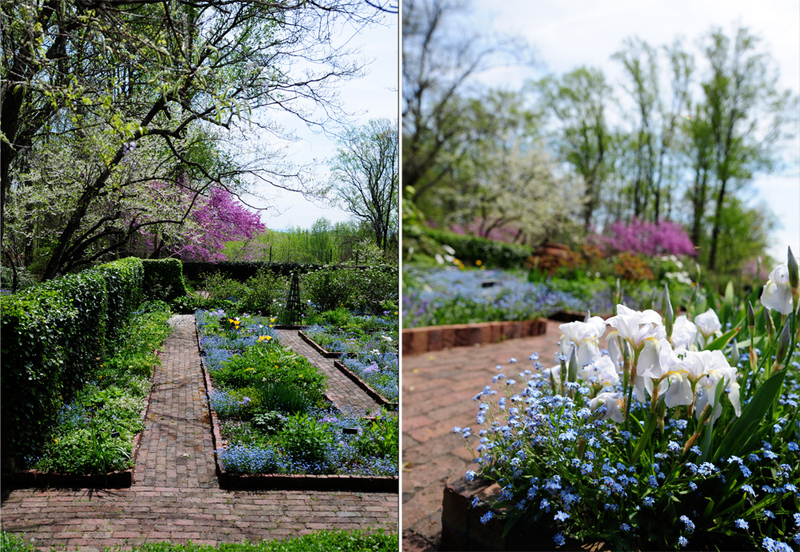 Now on to fun things...how wonderful to see a garden so much in spring bloom. It's beautiful and your photography and mosaics present it in a wonderful light. Mary what a gorgeous garden. Your photographs make it look so enchanting. I do hope that your hand gets better. My mom turned me onto Cod Liver Oil tablets. They are just vitamin supplements, but they really do work. Her hands were so arthritic that she had so much pain. Until she started taking those supplements. Well, wishing you a beautiful evening. This place should hire you for their publicity! 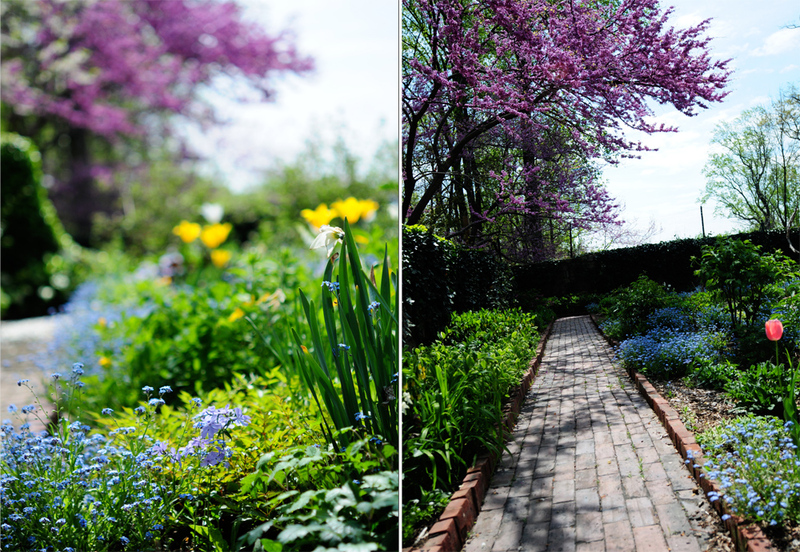 Fantastic photos that show off the gardens beautifully. 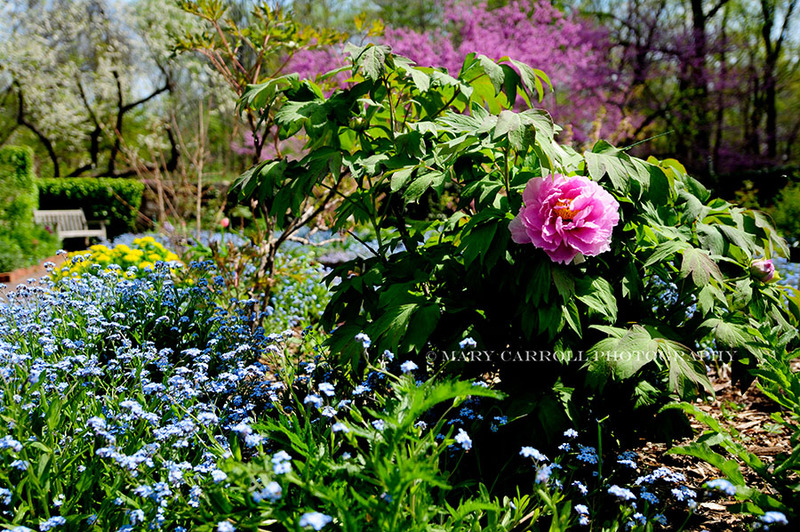 Beautiful pictures - the redbud and the forget-me-nots just glow! Hope the arm is feeling better. Such a beautiful garden. Your photos are wonderful. Thank you for sharing them! Awesome gardens. Thanks for sharing these beautiful photos. I am so excited, I finally had a post with mosaic photos. Oh, I love this garden and your photos! 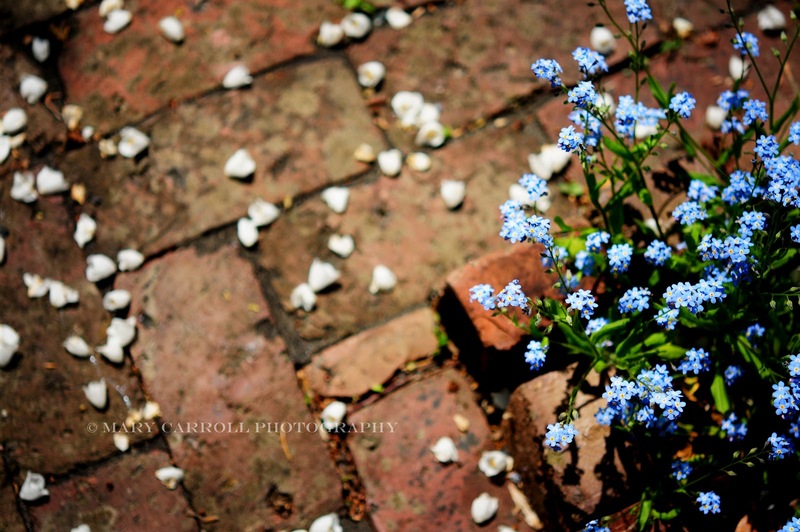 really love this garden with all the sweet forget me not :) looks like paradise! Just found your lovely blog from FB Garden Web post, love those blue flowers, what are they please? Your photos are beautiful! That garden is a perfect setting for such creative art!! Beautiful...all of it. I am sorry to hear that your hand is bothering you. Please take care of yourself. Such beautiful colors in the gardens. Sorry to hear you are still having problems with your hand. Thanks for hosting and I love your music. Mary so sorry your hand is still bothering you. Love the blues and yellows. As always, thanks for hosting. What lovely grounds, Mary! I hope your hand heals soon. I hope your hand feels better soon Mary! 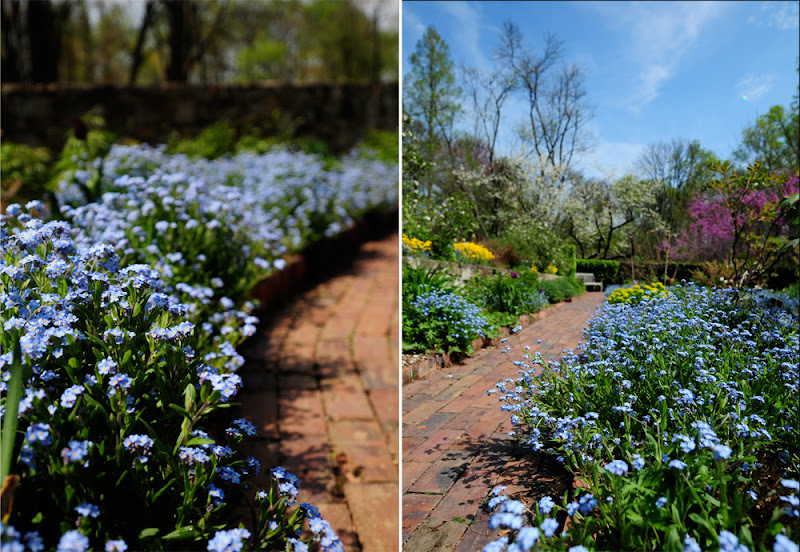 Oh those forget me nots are divine! So Beautiful Mary! I could never have too many pictures of this beautiful garden!! Be well,my friend! Your photos are fabulous! Thanks for hosting this fun party. I enjoy making collages/mosaics a lot and now use them in many different ways... emails and family history sites to name two. Thanks, Mary! Thank you for hosting this. I just discovered your blog from Vee! Your pictures are beautiful! These are incredibly gorgeous, Mary. I had to read back to see what was up with your hand. Mine had begun to do some weird things lately but the darn knee encompassed all of that. 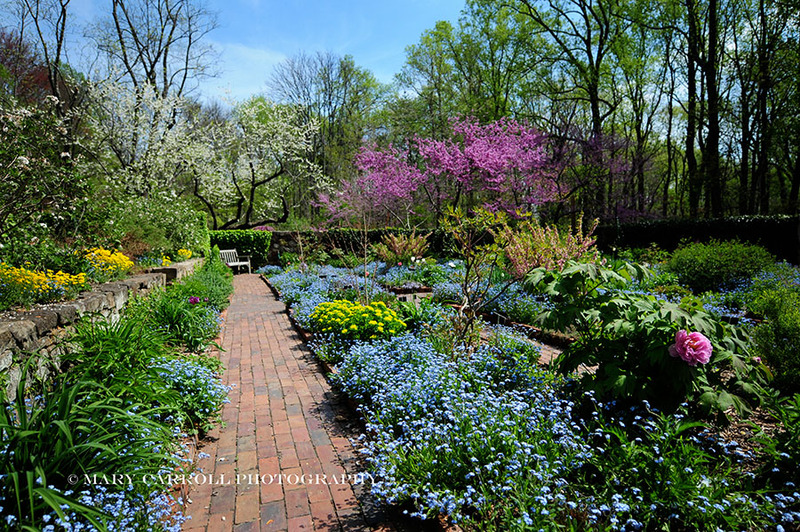 What gorgeous gardens and the colors are just my favorites...aaahhh heaven :) Hope your hand is better soon. I recently had tendon release surgery on my left hand and will probably have the same on the right before my deductible resets in January.